Are you in need of a bankruptcy attorney in the greater Albany Troy, Schenectady, Saratoga Springs, Clifton Park, and Cohoes, NY area? Guy J. Criscione Attorney at Law has been practicing law in the Capital Region for over 20 years. He specializes in bankruptcy law, criminal law, and personal injury law representation. 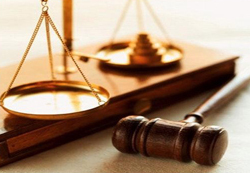 Guy J. Criscione, Attorney at Law, provides quality legal representation services in Albany, NY. Also providing service to Troy, NY; Schenectady, NY; Saratoga Springs, NY and beyond, he is the bankruptcy attorney you need on your side in your time of need! It pays to take advantage of the services offered by an experienced attorney who can navigate the local, state, and federal court system with ease. Guy J. Criscione acts as a bankruptcy attorney, criminal attorney, personal injury attorney, and a tax lien/IRS lien attorney. For quality representation in the greater Albany, NY area, trust Guy J. Criscione! Millions of Americans are finding themselves wrapped up in credit card debt, medical bills and other causes of debt. Do you have annoying creditors calling you? Rid yourself of debt today by filling bankruptcy. Guy J. Criscione Attorney at Law will discuss with you the pros and cons of filing for bankruptcy and the different types of bankruptcies that you can file, along with the terms that go along with them. If you're having trouble making ends meet, let the bankruptcy attorney help; call Guy J. Criscione today. Facing financial difficulty? The bankruptcy law is designed to give people with debt trouble a fresh start. Our bankruptcy attorneys also advise our clients in Schenectady, NY on how to manage their credit after bankruptcy. Filing for bankruptcy is a way of taking responsibility for your situation and clearing out your debts so that you can focus on rebuilding your life and caring for your family and yourself. 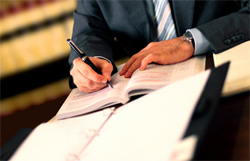 Get started today, consult with our professional bankruptcy attorney. Filing for bankruptcy involves preparing a petition in federal court and must contain information about your debts, creditors, income, wages, assets and monthly expenses. 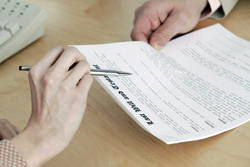 Our bankruptcy attorney is here to help you gather the proper documentation and file your case in federal court. Our counsel involves a safe, nonjudgmental environment where you can gather your thoughts and construct a plan of action that will place you on the road to recovery. Don’t put it off any longer because you think you can’t afford it! We can offer payment plans and are willing to work for any budget. Are you sick of the harassing calls from creditors? Now is your chance to end those! Our bankruptcy attorney has the knowledge and experience to help you no matter what you’re financial situation. Serving Albany, NY; Troy, NY; Schenectady, NY; Saratoga Springs, NY; Clifton Park, NY; Cohoes, NY & beyond! Stop worrying and let our bankruptcy attorney go to work for you! Everyone deserves a second chance and US Bankruptcy Law is designed to protect you, we can help you get back on your feet financially. Guy J. Criscione Attorney at Law helps residents in and around the Troy, NY and Cohoes, NY area with legal representation when it comes to filing for chapter 7 bankruptcy. This type of bankruptcy wipes out most of your debt and in some cases, you may have to surrender some of your property. There is no repayment plan for this type of bankruptcy as debt is simply eliminated forever. When you are in need of a bankruptcy attorney to help you with the paper work involved in chapter 7 bankruptcies, rely on Guy J. Criscione. Discharge your credit cards and other debt today. Within a chapter 13 bankruptcy, you are set up on a payment plan to creditors in order to save your home, car or to pay back taxes or secured debt. Guy J. Criscione works with his clients in and around Schenectady, NY and Saratoga Springs, NY to help get your debt repayment plan organized for a 3 to 5 year repayment period. An experienced bankruptcy, like Guy J. Criscione, can help business owners who are filing bankruptcy. This method is designed to save your business. When you need legal representation, rely on Guy J. Criscione. Stop wage garnishments and bank account restraints. Consolidate your debt into one payment. When you need a bankruptcy attorney contact us. We serve clients in Albany, NY, Troy, NY, Schenectady, NY, Saratoga Springs, NY, Clifton Park, NY, Cohoes, NY and the surrounding areas. Personal Injury Law - Personal injury cases typically begin with a private individual, the plaintiff, filing a civil complaint against another person or business, the defendant. These cases come about as a result of wrongful conduct. If you have experienced any injury to the body, mind, or emotions, call our attorney today for representation in the greater Schnectady, NY area. Criminal Law - Criminal law cases are anything that relates to crime. Whether the crime is harmful or endangering to property, health, safety, or moral welfare of a person, our attorney is here to help you. If you have questions about a criminal case in the greater Clifton Park, NY area, call us today. Traffic Law - Traffic law cases include any offense that is related to a moving vehicle. Whether you have be convicted of a DWI or a victim of an accident caused by a DUI in the greater Saratoga Springs, NY area, give us a call today for the justice you deserve! Over 20 years of Experience as a Bankruptcy Attorney for the Greater Saratoga Springs, Clifton Park, & Cohoes, NY Area.